NanoLumens' Las Vegas Visualization Center NanoLumens will host a panel discussion on the future of LED visualization at its Las Vegas Visualization Center on March 28, 2018 from 6:00 to 9:00 p.m. The panel will include representatives from NanoLumens, Hospitality Network convention engineer manager Javier Garcia, DailyDOOH co-founder and editor Adrian Cotterill, and other industry leaders. Registration to attend is now open here. “The NanoLumens AWARE LED display network diagnostic and management platform that Cox Business and Hospitality Network installed at the Las Vegas Convention Center is the most sophisticated system of its kind installed anywhere in the world today,” said Joe’ Loyd, NanoLumens vice president of global marketing. “So it’s only fitting that Cox Business and Hospitality Network participate in this forward-looking panel discussion with NanoLumens, industry visionary Adrian Cotterill, and other participants to be announced shortly. This is certain to be a very thought-provoking discussion of the future of LED visualization.” Along with the management platform, NanoLumens supported Cox Business and Hospitality Network in installing two back-to-back 40-foot LED screens in time for CES 2018. The three-hour event will feature cocktails and hors d’oeuvres. Transportation to and from the NanoLumens Las Vegas Visualization Center will be provided through an Uber voucher. 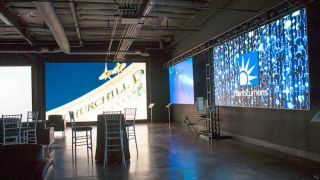 The NanoLumens Las Vegas Visualization Center is located at 5275 South Arville Street, #328, in Las Vegas.